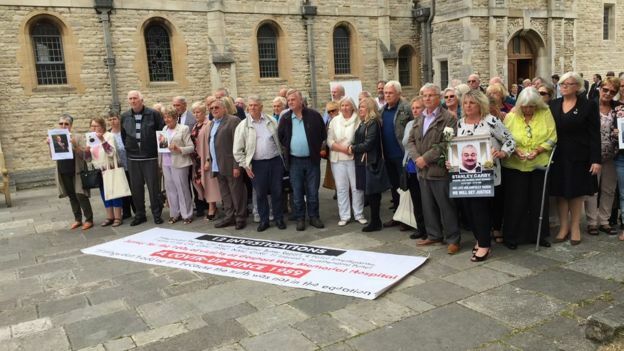 More than 450 patients died after being given powerful painkillers inappropriately at Gosport War Memorial Hospital, a report has found. An independent panel said, taking into account missing records, a further 200 patients may have suffered a similar fate. The report found there was a “disregard for human life” of a large number of patients from 1989 to 2000. It said Dr Jane Barton oversaw the practice of prescribing on the wards. 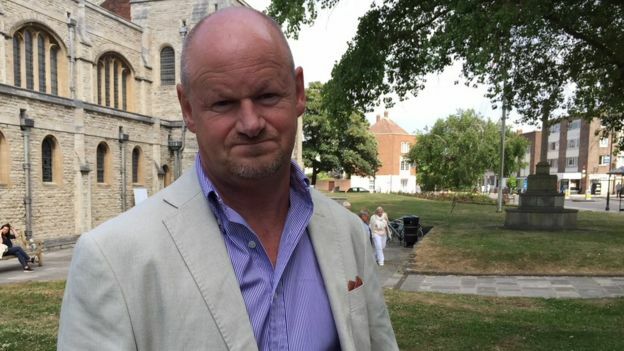 There was an “institutionalised regime” of prescribing and administering “dangerous” amounts of a medication not clinically justified at the Hampshire hospital, the report said. Prime Minister Theresa May described events at Gosport as “deeply troubling” and apologised to families over the time it took to get answers from the NHS. 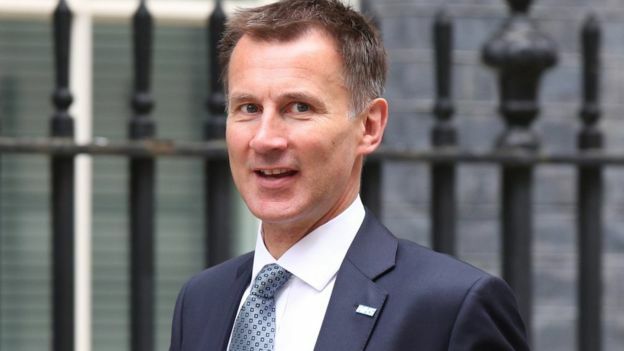 Health Secretary Jeremy Hunt told MPs that police and the Crown Prosecution Service (CPS) would examine material in the report to consider their next steps and “whether criminal charges should now be brought”. 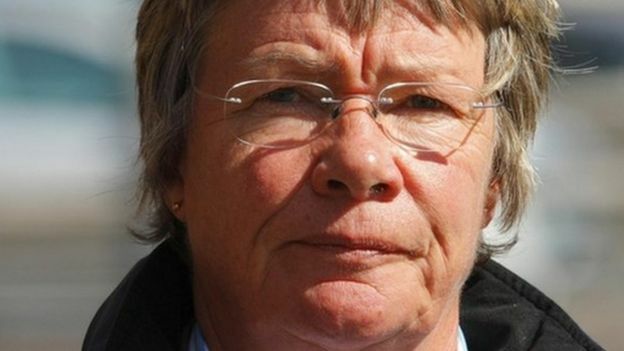 So far, the only person to face disciplinary action has been Dr Barton, who was found guilty of failings in her care of 12 patients at Gosport between 1996 and 1999. Relatives had said they hoped the findings of the report would end their “harrowing” wait for answers. 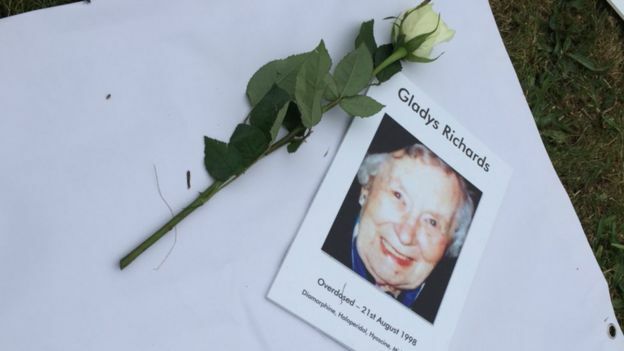 The document said families were “consistently let down” by those in authority, both medical individuals and institutions, when they complained about the treatment of their loved ones. Bishop Jones, who also headed the Hillsborough inquiry, said: “It’s not for the panel to ascribe criminal or civil liability. Chief Constable Olivia Pinkney, of Hampshire Constabulary, said the force had “co-operated fully” with the panel and “shared with them more than 25,000 documents containing 100,000 pages of information”. “We will assess any new information contained within the report in conjunction with our partners in health and the CPS in order to decide the next steps,” she added. 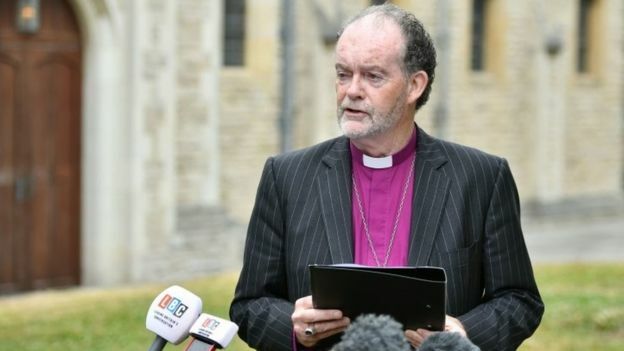 The report said an “awareness” that the deaths “might be due to ‘another Shipman'” had “cast a shadow over how concerns at the hospital were viewed”. GP Harold Shipman was jailed for life in 2000 for murdering 15 patients between 1995 and 1998. 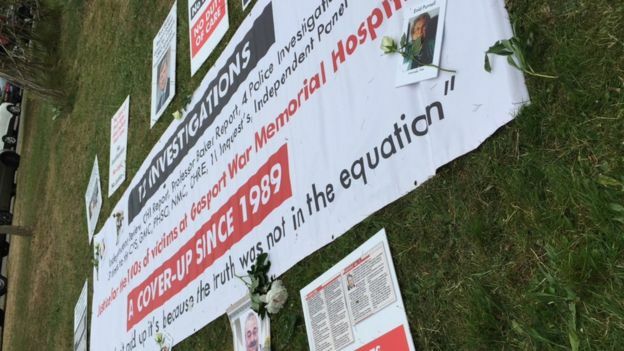 “The police focused on the allegation that Dr Barton was guilty of unlawful killing, rather than pursuing a wider investigation,” the report added. It said the quality of the force’s three investigations was “consistently poor”. The panel found officers had a mindset of seeing family members who complained as “stirring up trouble” while seeing the hospital as the place to go for guidance and assurance during their inquiries. Gosport MP Caroline Dinenage said it highlighted many “failures” by the authorities to properly investigate. She said organisations must look closely at the full report and urged the government to take action if there were cases to answer. Janet Davies, chief executive of the Royal College of Nursing, said the report made for “very sober reading for everybody involved in the care of patients”. “Nursing as a profession must work hard to seek out lessons from Gosport and we expect that approach to be shared by regulators and the health and care system,” she added. The health secretary described the findings as “truly shocking”. He said “brave nurse whistle blowers” had first raised concerns in 1991, as well as families. He added there had been a “catalogue of failures”, including by the Department of Health. 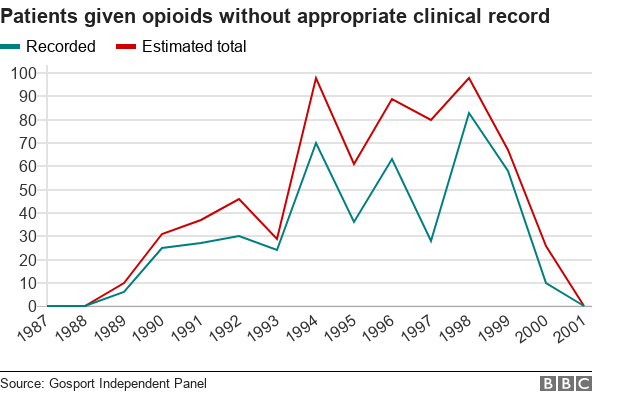 A report first compiled by Prof Richard Baker in 2003 – and published 10 years later – found evidence of an “almost routine use of opiates” since 1998. Speaking in the Commons, Mr Hunt asked why it had taken 10 years for this to be made public. At the launch of the inquiry four years ago, former Care Minister Norman Lamb said it would address what he called “unanswered questions” about the care of those who died. “There has been a real systemic failure here. . . a closing of ranks in my view,” he said. The Lib Dem MP has now called for an “independent and thorough” police investigation. Shadow Health Secretary Jonathan Ashworth said the “substantial” 370-page report would take time to absorb. “Families were too readily dismissed, it’s shameful,” he said. Ken Woolley’s father John died at Gosport in 1996 aged 68 after being admitted for a broken hip. “As soon as we saw him the next day he was unable to communicate due to the drugs they’d given him,” he said. “There was another 11 days where he still couldn’t communicate before he died. As well as hundreds of death certificates, the panel analysed documents from the police, coroners, the NHS and other organisations. The panel included geriatric medicine specialist Dr Colin Currie, investigative journalist David Hencke, former Scotland Yard Commander Duncan Jarrett and pathology and medical records expert Dr Bill Kirkup. Modi Scored High on Political Quotient of Demonetisation, Can Opposition Counter with RBI Facts?